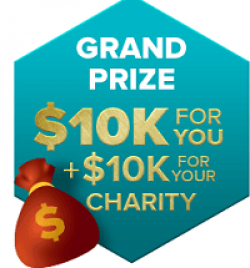 Win $10,000 for yourself and $10,000 for your favorite charity from Honey Nut Cheerios! Instant Prizes: (5) Xbox One X; (5) Kindle Fire HD10 64GB; (100) $50 Amazon gift card; and over 17,000 additional prizes of Xbox gift codes, movie gift codes and more! Restrictions: 7+ Free entry method - click on "How to Scan Your BUZZCOIN. 3 instant game plays per day.